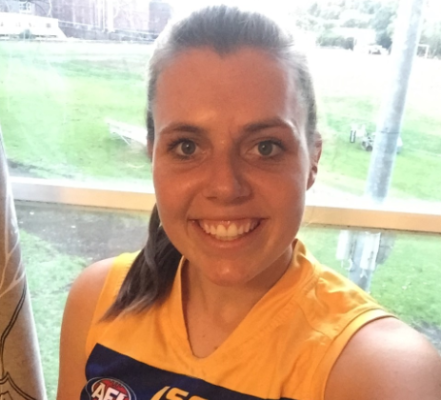 AFL Sydney is pleased to announce that the 2017 Round 12 Women’s Rising Star is Maddie McCathie from the Sydney University Bombers. Maddie McCathie is currently playing her first year of football for Sydney University, after a transition from elite Netball. At 19 years of age Maddie is the youngest in the Sydney University Women’s Premier Division side. Since joining the team Maddie has consistently trained with enthusiasm and dedication, and has impressed with her determination, speed and amazing marks. Maddie has become a part of the Bombers core back line, and playing in fullback against Southern Power Maddie absolutely dominated in defense. Maddie controlled the back line, spoiled marks, and hit all her targets. Maddie never gave up and showed she is one to watch in 2017. AFL Sydney congratulates Maddie on her Round 12 Rising Star nomination.